It started with a contribution to singer Suzan Kardeş’s album, "Makyaj Odası Şarkıları" (Make-Up Room Songs). 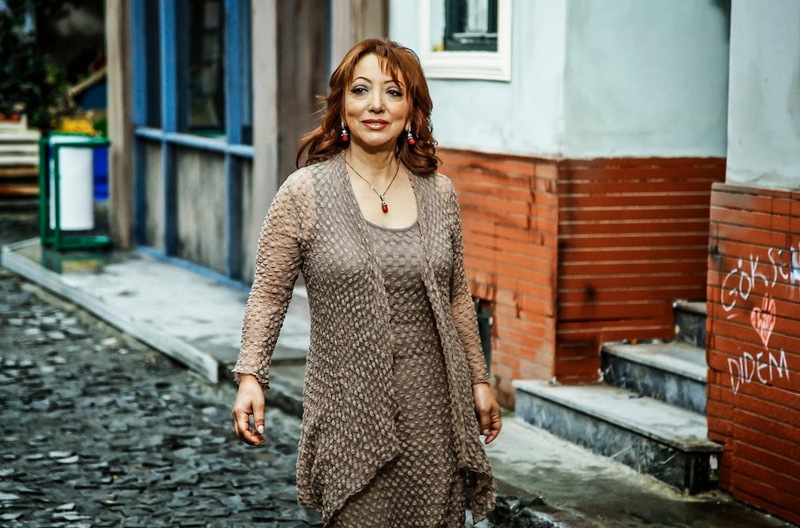 From then on there was no turning back for actress Yasemin Yalçın, a veteran in her own right in Turkish film and theatre. One may now add ‘songbird’ to her accolades; Yasemin’s debut arabesque album, “Arasırabesk”, is hot off the press, and the spunky artiste is ready to belt it out ‘live’. “Arasırabesk” recalls the giddyingly addictive arabesque tunes of the 70s; a music genre particularly dear to Yasemin’s growing-up years. No pushover when it comes to artistic ownership, Yasemin presided over the entire album production, working on song covers by herself – vocal lessons taken in youth have come in handy for this hugely talented energiser-bunny. “Arasırabesk” is a labour of love, an all-out-hurrah celebrating Yasemin’s first dip in music production; the album is a cosy ten-song compilation of favourite songs shared with family and friends. No doubt, toasty nostalgia is on the cards when it comes to Yasemin’s musical inclinations – perfect for seeing listeners to a rosy 2014-close. Yasemin’s vivacity has no means of fading – catch her ‘live’ at the Beşiktaş Kültür Merkezi (BKM) on Monday, 8 December at 9 p.m., and get ready for a night of riveting arabesque tunes, gilded with an originality that can only be Yasemin Yalçın’s magic. Book your tickets now for a show-stopping music treat. Clocks dues in Singapore. On time-out in Istanbul.